Applicant must pay Rs. 250/- (Rupees Two Hundred and Fifty Only) towards application processing fee and Rs 120/- (Rupees One Hundred and Twenty Only) towards Examination Fee. 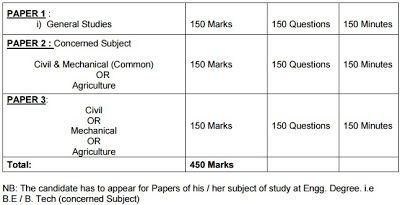 However, the following categories of candidates are exempted from payment of examination fee (Rs.120/-). a) SC, ST, BC, PH & Ex-Service Men. c) Un-employed youth in the age group of 18 to 40* years as per G.O.Ms.No. 439, G.A. (Ser.A) Dept., dated: 18/10/1996 should submit declaration at an appropriate time to the Commission.